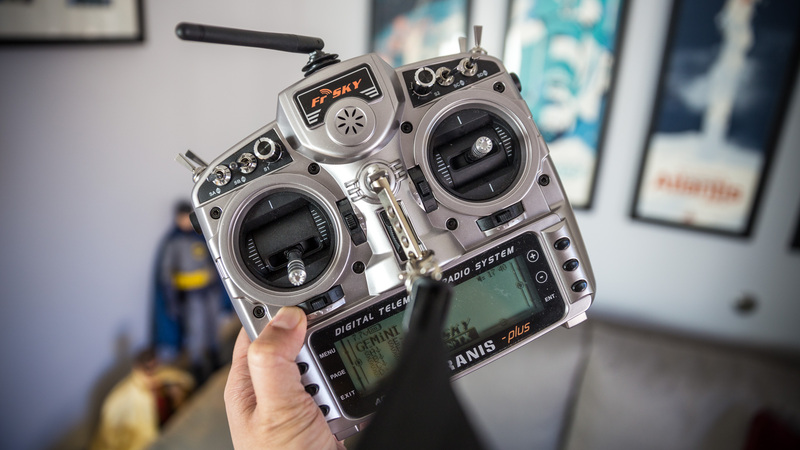 By Terry Dunn on Feb. 25, 2015 at 11:30 a.m.
Once the RC bug has bitten and you know that you’ll be in the hobby for a while, buying a good quality computer radio system is one of the best investments that you can make. Once the RC bug has bitten and you know that you’ll be in the hobby for a while, buying a good quality computer radio system is one of the best investments that you can make. These radios have onboard processors that enrich them with many features not usually found on “dumb” units. The benefits of some of these features are self-evident, such as the ability to use the same transmitter for multiple models. Other features found on computer radios are a bit tougher to grasp. Consequently, many modelers simply ignore them—and forfeit some very useful capabilities. A COMPUTER RADIO PROVIDES MANY OPTIONS FOR TAILORING HOW THE SYSTEM PERFORMS. NO MATTER WHICH BRAND YOU CHOOSE, IT IS A WORTHWHILE INVESTMENT FOR SERIOUS MODELERS. Today, I will cover a few of the basic features that are afforded by computer transmitters: what they are and how/when they are helpful. I won’t be covering any specifics on how to program these features on your particular radio--that’s what the owner’s manual is for. My focus will be on radios for aircraft, but surface computer radios (for cars and boats) share many of the same features! 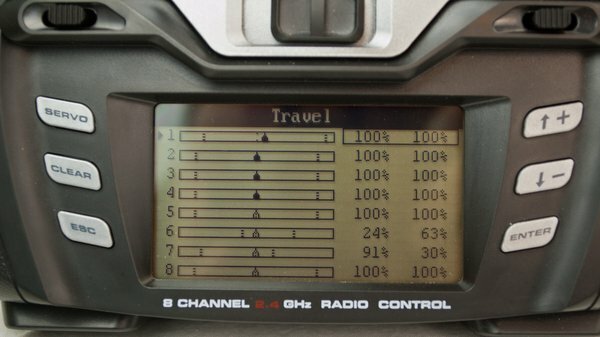 Most computer radio systems have six or more channels, with 6-channel models being very popular among rookie hobbyists. Up until recently, I would have endorsed that decision. Now I suggest going with no less than seven channels – preferably eight. The reason for my change of heart is that the average flying model is evolving into an ever more complex machine. 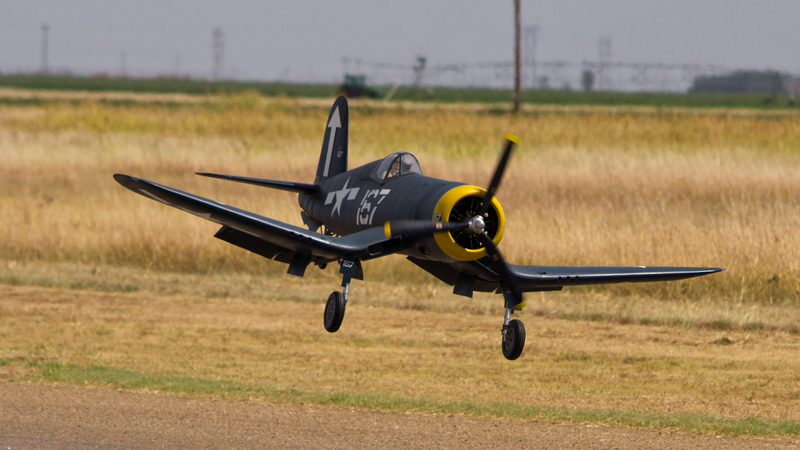 A 6-CHANNEL RADIO MAY NOT BE ENOUGH IF YOU BECOME INTERESTED IN COMPLEX MODELS SUCH AS THIS WARBIRD. CONSIDER BUYING MORE RADIO THAN YOU NEED NOW TO HEDGE YOUR BETS. Powered aircraft need no more than four channels to fly (pitch, roll, yaw, & throttle). Additional operations (retractable landing gear, flaps, lost model alarms, lighting systems, sound systems, gimbals, gyros, bomb releases, etc.) are becoming much more prevalent in off-the-shelf models, and they require additional channels to make them function. These add-ons aren’t necessary to fly, but they sure are fun. So why should your radio keep you from enjoying them? I know several flyers who initially purchased a 6-channel radio, only to upgrade a few months later. Consider where your RC interests might lead and invest in a radio that will accommodate those needs. Model memory alone justifies the extra expense of a computer radio. Model memory alone justifies the extra expense of a computer radio. Gone are the days when you had to have a separate radio system for each of your aircraft. With a computer radio, you equip every model with a receiver and the same transmitter can be used to fly any of them. The particular set-up parameters for each model are stored in the transmitter’s memory. You just select the model you want to fly and the programmed settings for that aircraft are at your fingers. This is another area where first-time radio buyers often underestimate their future needs. There aren’t very many modern computer radios that store fewer than 20 different model profiles. Some new guys feel that they’ll never have that many aircraft. Ha! It’s amazing how quickly your hangar can grow. Sometimes, all it takes is one swap meet to gather enough birds to saturate your radio’s model memory. A BIG APPEAL OF COMPUTER RADIOS IS THEIR ABILITY TO OPERATE MULTIPLE MODELS. YOU DON’T NEED A SEPARATE TRANSMITTER FOR EACH AIRCRAFT. Again, my advice it to try to forecast your level of interest in the hobby and buy a radio with sufficient memory slots. Some systems can use memory cards, so there is really no limit to the number of profiles they can store. Also keep in mind that, like all other processor-based things, computer radios are constantly evolving and improving. Even if you get a radio with few memory slots, you may be ready to try the next big thing in radios by the time you fill up your first one. One of the most important items on your preflight-checklist should be to make sure that the model’s control surfaces move in the correct direction for every control input. I can’t tell you how many models that I’ve seen crash on their maiden flight because this critical step was overlooked. 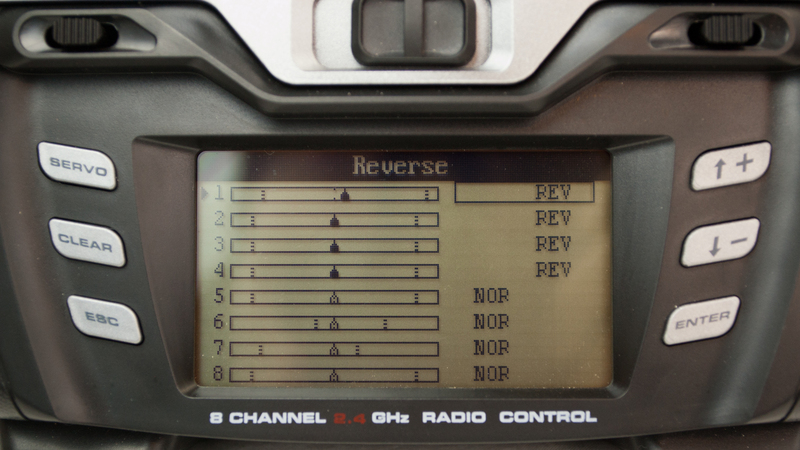 The servo reversing menu on your transmitter allows you to change the direction that the servo(s) on a specific channel will articulate. SERVO REVERSING IS A SIMPLE BUT VITAL FUNCTION FOR CONFIGURING THE CONTROL SYSTEM OF ANY MODEL. IMPROPER CONTROL MOVEMENT CAUSES MANY CRASHES. When it comes to Electronic Speed Controls (ESCs), servo reversing will NOT change the direction that the motor spins. Likewise, you should not change the positive and negative leads from the battery to the ESC--that will likely cause a smoky, stinky mess. Changing a motor’s direction of rotation must be done by physically changing the leads between the ESC and the motor (well, some ESCs have firmware options for this). With brushed motors, you swap the positive and negative wires. On brushless systems, you swap any two of the three motor wires. Note that some radio systems (namely Futaba and Tactic) require the throttle channel to be reversed in order to work with ESCs. 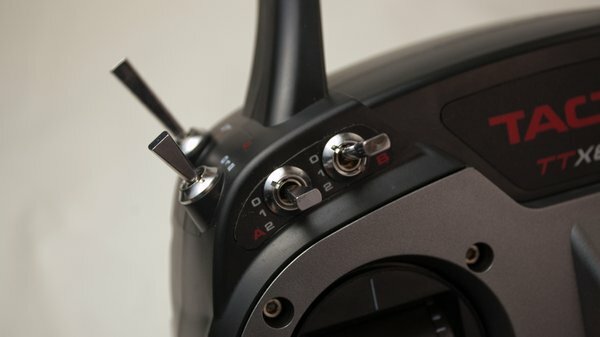 Dual rates are a method to control the sensitivity of your model using one or more of the switches on the transmitter. The idea is to define two different amounts of control surface movement (called “high rate” and “low rate”) for the pitch, roll, and yaw axes. This is done by setting the maximum amount of servo movement (throw) in each rate. For instance, you may want to configure low rates to 60% travel to make your model more docile during takeoff and landing. Flipping a switch to enable high rates with 100% travel could give you the extra control movement you need to perform aerobatics. It is common to assign a separate rate switch to each axis. This allows you choose combinations such as low-rate roll control in conjunction with high-rate pitch. THE SWITCHES ON A TRANSMITTER CAN BE ASSIGNED TO CONTROL DUAL RATES. THIS LETS YOU ALTER THE SENSITIVITY OF YOUR MODEL WHILE IT IS FLYING. Many kits for airplanes and helicopters provide suggested control throws for high rates and low rates. These are usually defined as deflection angles or movement distances for the control surfaces. However, setting up these parameters in the radio requires you to transpose the values into rotation limits for the servos (as a percentage of the total available servo movement). It sometimes takes a little trial and error, but it is an easy process. 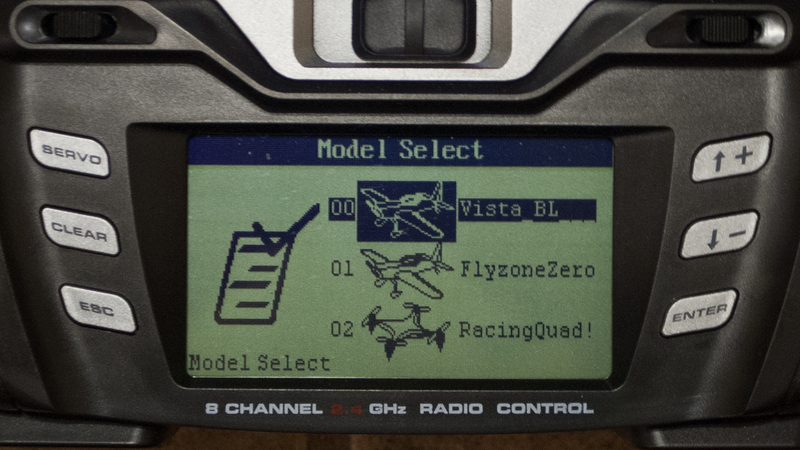 Some radios feature triple rates for an extra level of adjustability. THIS MODEL HAS SIGNIFICANTLY GREATER RUDDER THROW (AND EXPO) IN HIGH RATE THAN IN LOW RATE. IT IS EASY TO SEE HOW THE INCREASED CONTROL SURFACE MOVEMENT WILL AFFECT THE AIRPLANE’S MANEUVERABILITY. One of the most often overlooked and useful features of computer radios is Exponential Travel. By default, there is a linear relationship between the movement of a control stick and the response of a servo. Moving a control stick 50% of its travel will command the relevant servo to move 50% of its travel. The exponential menu allows you to transform this linear relationship into a more, well, exponential one. The advantage of using expo is that the total travel of the servo is unchanged, but you get more precise movement of the control surfaces near their neutral positions. This allows you to set up a model with extreme control throws for crazy aerobatics, while also keeping the model from being twitchy when flying straight and level. THIS DIAGRAM TAKEN FROM THE MANUAL FOR THE TACTIC TTX-850 RADIO ILLUSTRATES THE EFFECT OF EXPONENTIAL SETTINGS. THE X-AXIS IS CONTROL STICK MOVEMENT AND THE Y-AXIS IS SERVO MOVEMENT. With exponential enabled, moving the control stick 25% may only result in the control surface moving 10%. This makes it easier for the pilot to input the subtle, nearly imperceptible commands that keep a model flying on a smooth predicable path. Yet, moving the control stick to 100% will still result in 100% servo movement. I typically start with 35% exponential on my sport models and adjust as necessary to meet my preferences. Really aerobatic airplanes may get 70% exponential. I know of some multi-rotor pilots who use 100% exponential. The multi-rotor’s flight controller board may have exponential options as well. In that case, configure expo on either the radio or flight controller, not both. 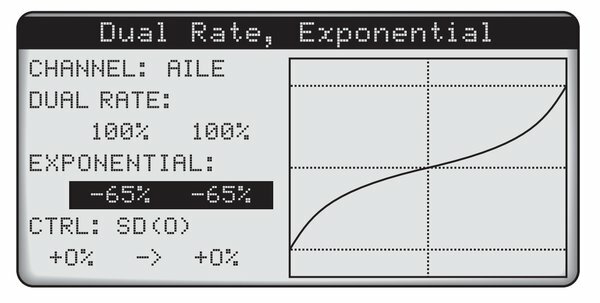 Exponential settings are typically tied to the dual rate menus. You can define a specific exponential value for each rate of every control axis. You may want greater exponential values for high rate control throws. Be aware that exponential is not defined the same for every radio brand. With Futaba, Hitec, and Tactic radios, you want negative expo values. Spektrum, JR, and Graupner radios need positive exponential values. Getting it backwards will have the undesired effect of making your model very sensitive in cruise…perhaps uncontrollable. Read your manual and make sure that you get it correct. End Point Adjustment (EPA) allows you to define the maximum servo travel for any channel. 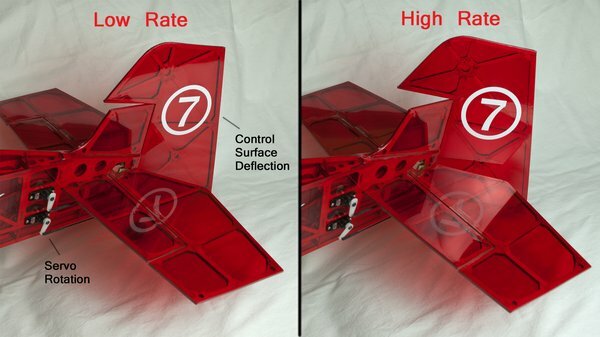 This feature is especially helpful when dealing with components such as wing flaps or bomb releases that could get damaged by excessive movements. In these cases, it is often necessary to reduce the EPA values drastically before connecting the servo to the component that it will move. Then you can gradually increase the endpoints without fear of damaging anything. THIS MENU FOR EPA (CALLED “TRAVEL” BY TACTIC) SHOWS WHERE I HAD TO LIMIT THE SERVO MOVEMENT TO MAKE THE FLAPS AND BOMB RELEASE (CHANNELS 6 AND 7) FUNCTION PROPERLY ON THIS MODEL. While EPA is a very useful tool when configuring a model, it is not always the best option. If you find that you are reducing the throw of a servo significantly, you may be better served by making mechanical adjustments to the control mechanism. For instance, moving the pushrod closer to the servo’s axis of rotation will have the combined benefit of decreasing its linear control throw while also increasing its mechanical advantage. 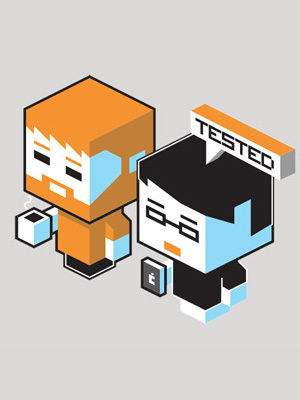 I write about Failsafe with the hope that it will remind me to configure it more often. Failsafe defines how the onboard components of the radio system will react when the link between the transmitter and receiver is broken, i.e. you aren’t in control anymore. While such instances are rare, the possibility is credible enough to prepare for it. Your desired failsafe settings will largely depend on the type of aircraft you are flying. With an aerodynamically stable aircraft that will fly by itself, you may just want to choose a low throttle setting with a gentle yaw input so that it orbits in a circle until you regain control. For a speedy and/or aerobatic airplane, it may be best to kill the throttle and neutralize the control surfaces to prevent it from zooming further away. A multi-rotor may benefit from a throttle setting that provides a gentle descent. Assess the risks based on each specific aircraft and where you are flying. Choose the failsafe response that maximizes your chances of a safe recovery, or at least minimizes collateral damage. The features mentioned here just scratch the surface of what’s possible with modern computer radio systems. Yet, I think they represent the essential aspects that users of these radios should understand. As you gain more experience with your radio, you can explore the multitude of additional features that it offers. Share your experiences with computer radio systems in the comments below!